"Is it conceivable that Allah would allow a non-believer to overcome and oppress the Muslim?" When the enemy overcomes you it is not Allah allowing a victory of the non-believer over you. Allah will never let you down as long as you uphold your responsibility to him. 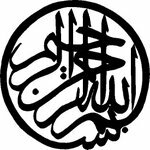 All praise is due to Allah and may Allah’s peace and blessings be upon His Messenger Muhammad and upon his family and companions. “Weakness” comes in two forms in the Quran. And because God is ‘The Just’, and because the state of weakness and impotence isn’t something that a person just experiences once- the fruit of that state is good because if the fruit of that state was not good then this would take it out of Justice and it would be tyranny. And the fruit, the end result, of tyranny is not in the hand of the tyrant, but in the hand of the one who tyrannised. The kind of impotence that leads to loss is an impotence to which a person reacts in a way that takes him out of his obedience to God. Because the oppressor can take your rights, beat you, kill you but he can never make you leave the path of the serving of your Maker. That is why we started by citing the verse which talks about those who rose to lofty heights in spite of their oppression- And Allah says “And we gave a gift to those who were oppressed upon the earth and made them leaders and inheritors.” They rose to heights because of their reaction to their oppression, and became leaders that other people wished to be in the position of. And when your state of patience and adversity becomes heavy to carry, remember you can always turn to Allah subhanu wa ta'ala, the One who assists. This is something we have been hearing since the middle of today from the inheritors of the Prophet sallallahu alayhi wasallam. If you take the advice of Sheikh Ali Al Jumuah (who spoke earlier) when he said that we should renew our connection with the seerah of the Prophet sallallahu alayhi wasallam- You will understand also that all the glad tidings of openings, establishment, firmness and ease, come after the darkest hours. I’d like to conclude (a) with answering a question that many people repeat to themselves sometimes in their own monologues, (b) and with Glad tidings. I think the answer is in the question itself: If our people are at such a point where they believe that to call them to moderation and good character is to pave the way to their weakness and to add to their weakness and feeling of impotence- the answer is in the question itself- it means we have gone so far away from the teachings of this faith, which calls us to good character. The Prophet, sallallahu alayhi wasallam articulated it when he said: “Truly I came exclusively (only) to perfect good character.” In Arabic, “Innma” – is an exclusive clause. And how do we reconcile this with what our brother Yusuf Islam has said, that shirk is the greatest enormity and injustice a man can do, greatest injustice to his own soul- how do you reconcile this with what you have just heard about the Prophet sallallahu alayhi wasallam coming only to perfect good character? It means the affirmation of Divine Unity and the call to Him can only be done with good character. The Prophet sallallahu alayhi wasallam did not say he came to “establish” good character, but to “perfect” which tells us that it is something humanity has with them since it’s inception- so the prophet sallallahu alayhi wasallam came to invigorate and bring to life the primordial pattern Allah has placed within us. And if we are from the nation of the Prophet, as his inheritors- how can we call others to the perfection of character unless we recognise traces of goodness in others and show them the way to its perfection. And another angle to the answer of the Question: Are we talking about engagement today because we feel threatened, because we are scared, and because we fear? Is it because of shifts in perceptions, because we could be kicked out, because of expedients? No, rather because this is our faith- Part of this faith is engagement, part of our faith is how we deal with others, how we engage with the people around us, how we carry their burdens and feel responsibility towards them. And if the tables were turned and we were established upon the earth and we thought this was not the message we were to carry to mankind then we would be betraying the trust Allah has given us. Because it is an act of worship placed next to salah, fasting, being good to your parents, keeping the bonds of kinship etc- next to all this is good character and it is a way that we get closer to our Creator. I want us to leave this conference with the feeling of glad tidings in our hearts. And the giver of glad tidings is not the speaker, but it is Allah and the bringer of glad tidings is not the speaker before you, but the Prophet sallallahu alayhi wasallam. And I’d like to ask Fuad Nahdi and all that work with him in this goodness, that what was said on this day be put together in a booklet so others may benefit and it may be carried forth into action. And others including ourselves can help in this. Because when I heard Abdal Hakim Murad who spoke earlier I felt like a divine opening was coming forth from his mouth, as he spoke from within us in a way that was self critical. May Allah reward you all with the best of rewards. Sorry this is a different clip because the other one is unavailable. Satan will come to you and ask you why you acquire knowledge? Why do you waste your time studying? Why are you doing this? People take some of the hadith from the hadith that heaven is underneath the shadow of the swords. What the beginning? Don’t wish to meet your enemies on the battlefield, if you are confronted, then be patient. Ka’b ibn zuhar (May Allah Ta’ala be pleased with him) was given the cloak of the Prophet (peace and blessings upon him) when he recited poetry in praise of him. Many years later, Muawwiya (May Allah Ta’ala be pleased with him) brought it from Ka’b’s children for 20,000 dirhams. O’ you who is seeking Allah Subhanu wa Ta’ala, be firm and stand at his door.